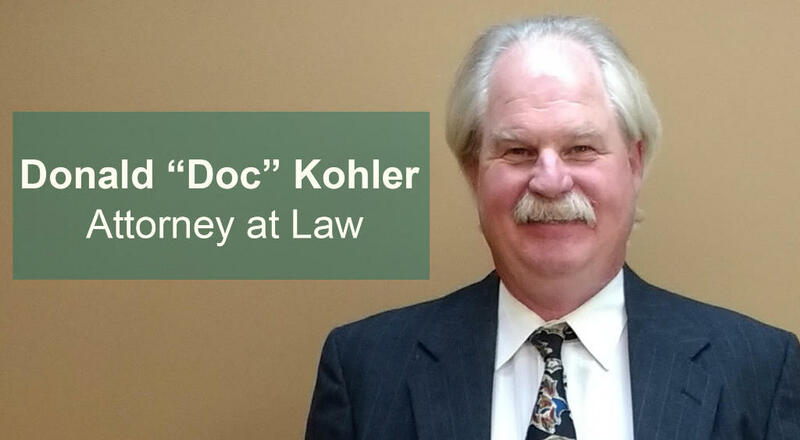 Attorney Donald W. "Doc" Kohler devotes a significant portion of his legal practice to helping injured employees receive workers' compensation benefits after sustaining an on-the-job injury or illness. Before becoming an attorney, Mr. Kohler went through the workers' compensation system himself; he understands the emotional and physical nature of dealing with a workplace injury, including how it impacts relationships with your employer and family members. Our firm has represented all types of workers in all types of industries, including construction workers, industrial workers, office personnel, restaurant servers and beauticians. The Workers' Compensation Act was established by the Minnesota Legislature to provide benefits for employees who become injured at work. Benefits cover injuries or illnesses caused or made worse by work or the workplace, and are paid regardless of any fault of either employer or employee. Under the Act, employers are required to carry insurance for employees. In Minnesota, there is no minimum number of employees necessary for the Act to be applicable to an employer, and in most cases, any employer-employee relationship will cause the employer or its insurance carrier to be responsible for workers' comp benefits. Temporary Total Disability (TTD) - This is monetary compensation of 100% of the state wide average weekly wage at the time of injury, up to $750 per week. This amount is payable to the injured employee for the period of time the employee is unable to return to work at all. Temporary Partial Disability (TPD) - If the work injury results in a lower paying position, the employee is entitled to wage loss benefits of 66.66% of the difference between the lower paying position and his or her gross weekly wage at the time of injury. Permanent Partial Disability (PPD) - This is compensation in a lump sum payment (benefits payable over a period of weeks) as payment for the functional loss of use or impairment of function of a body part. PPD benefits are calculated by multiplying the percentage of disability by a graduated monetary schedule established by the Minnesota Legislature. In most circumstances, an injured employee may choose his or her own health care provider. However, if the employer participates in a certified managed care plan, with certain exceptions, the injured employee must go to a provider in the certified managed care network. If you are covered by a certified managed care plan, your employer must post a notice that shows how to get treatment using the managed care plan and provide the name and phone number of a contact person. If in doubt, ask your employer or their insurer for a list of providers in the plan, or contact the Minnesota Department of Labor and Industry for confirmation of the employer's certified managed care plan. Once you are receiving workers' compensation benefits, your employer's insurance company may ask you to be examined by a health care provider of its choice. Generally, you will receive written notice of this request in the form of a letter notifying you of the location of the medical provider's office and the time and date of the examination. If you refuse to be examined by that doctor, the insurer may suspend your benefits Also, if you fail to attend the examination or do not give adequate notice to reschedule the examination, you may be billed directly for the examination costs. The insurance company must reimburse you for mileage and other travel expenses related to attending the independent medical examination. Workers' compensation will pay the cost of all reasonable and necessary medical care treatment related to a work injury or work illness. After an employee receives treatment, medical providers will bill the appropriate workers' compensation insurance company directly. Chiropractic and passive treatment is limited to 12 consecutive weeks and an additional 12 non-regularly scheduled treatments over an additional 12 month period. Also, prescription costs and travel expenses (including mileage) to and from medical appointments are payable. These bills should be sent directly to the workers' compensation insurance company. It becomes known to the injured employee that he or she will be unable to return to work for at least 13 weeks. Ninety days have passed since the date of injury, and the employee has not returned to work. The employee has requested rehabilitation services. If, after the initial consultation, the QRC determines further rehabilitation services are necessary, the injured employee may choose his or her own QRC. With certain exceptions, this must be done within 60 days after the rehabilitation plan is filed. Your employer's rehabilitation plan may also include retraining. The QRC assigned to the employee is responsible for preparing any retraining plan. For injuries on or after October 1, 2008, the retraining request must be filed before the employee receives 208 weeks of any combination of TTD and TPD benefits. You are unclear or uncertain about your rights and the benefits available to you under the Minnesota Workers' Compensation Act. For more information, advice and representation, contact Donald W. Kohler for a free initial consultation. You pay no legal fees unless we obtain benefits on your behalf.